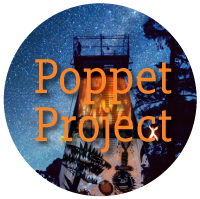 The Poppet project will see the creation of a new aerial performance and projection spectacular on the iconic poppet head in the heart of Bendigo. The creative team from Natimuk will work together with a broad range of community groups from around Bendigo over a ten-month period to create this work that will capture and creatively express the unique stories of Bendigo and its people. 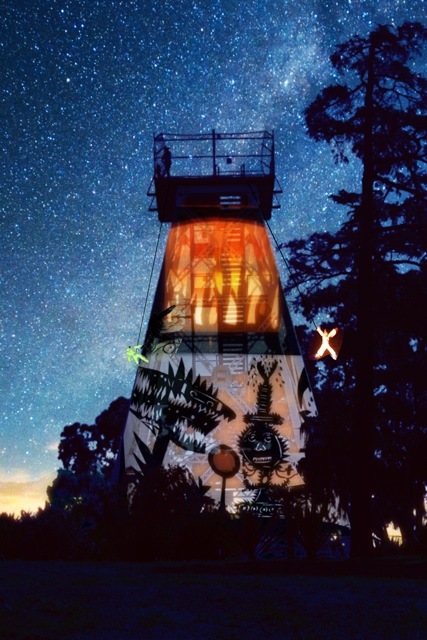 Over 16 years of working together in a variety of collaborative combinations these Natimuk artists have developed a unique visual language that involves interactive animation and projections, aerial performance, live shadow play, puppetry, music (mass choir/opera/orchestra), community performance and storytelling. It is this language that is offered to the community to work together to tell their stories on their iconic structure to their community and the broader audience – a visual poem woven together to create new meanings, new memories, and invite new ways of seeing and understanding through a collage of expression both literal and abstract. What started as an expression of our desire to make large scale performance turned into a great example of how such projects can engage communities, leading to social cohesion, and a heightened sense of pride of place. In the process, we worked out that we were good at, and enjoyed, the public engagement part of these projects. For the Poppet project the Natimuk artists, working with local associate producers, will collaborate with Bendigo-based community groups/organisations including, but not be limited to, the Dja Dja Wurrung Clans, the Golden Dragon Museum, the Bendigo Historical Society, Camp Hill Primary School and CreateAbility.